Ornate. Distinctive. Refined. The technology of the Insinkerator F-HC2200 Victorian looks forward, while its style harkens back. A part of our finest line of instant hot water dispensers, this model is designed for use with our stainless steel tank for filtered, near-boiling 200°F water and cool drinking water all on one system. InSinkErator's Instant Hot Water Dispenser saves time and adds elegance to the kitchen. Near-boiling water at your fingertips -- perfect for making gravy, melting chocolate or quickly preparing pasta. Also double-functions to remove candle wax from holders and quickly clean dirty pots and pans. Consider how often you heat water. When you do, you'll realize just how much you would use an instant hot water dispenser. It's truly unrivaled in the kitchen when it comes to the number of tasks that are easily and quickly performed. And that's exactly why millions of people have installed them. Looking for a Faucet Coupon? Type: BLOG when you checkout at eFaucets.com. 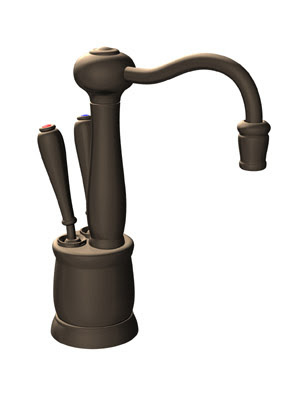 This coupon code will give you $10 off any faucet or accessory item order over $199.